What is the opinion of many Muslim scholars on the death of Jesus? Jesus-Islam » The Koran » What is the opinion of many Muslim scholars on the death of Jesus? Fakhroddin ar-Razi was one of the famous Muslim theologians of Shafiite rite. Belonging to the Sunni school of Islam, he taught Muslim theology and philosophy, and wrote a number of books, including The Great Commentary on the Koran (Tafsir, also known as The Keys to the Invisible). “إن جاز أن يقال إن الله تعالى يلقى شبه إنسان على آخر فهذا يفتح باب السفسطة. فلربما إذا رأينا (زيدا) فلعله ليس (بزيد) ولكن ألقى شبه” زيد “علي شخص آخر !! وإذا تزوج رجل (فاطمة) فلعله لم يتزوج (فاطمة) ولكن ألقي على (خديجة) شبه (فاطمة) فيتزوج خديجة وهو يظن أنها فاطمة “. “لو جاز إلقاء شبه أحد على شخص آخر فعندئذ لا يبقى الزواج ولا الطلاق ولا التملك موثوقا به”. Thus Imam Al-Razi rejects the fact that the expression “it appeared to them to be so” means that a man, that was made by God to appear to be the exact double of Jesus, was crucified in his place. In addition, commenting on Surah Al-Imran 3:55, Imam Al-Razi said: “Ibn Abbas and Mohammed Ibn Ishak said: The meaning of” You reminded me “is” I let die “. Ibn Kathir (1301-1373) is a Shafiite scholar, an Arab Muslim traditionalist and a historian. He was one of the pupils of the theologian Ibn Taymiyya, a sinior scholar in the Salaf doctrine. The Koranic commentary (Tafsir) of Ibn Kathir, which is strongly based on tradition, is considered by Muslims as one of the most important works of its kind. Ibn Kathir writes in his exegesis on the Koran (tafsir al-Qur’an) that there are two different views on Surah 3:55 among Muslim scholars and one of them says that Jesus did die a physical death. اختلف المفسرون في قوله: (إني متوفيك ورافعك إلي) فقال قتادة وغيره: هذا من المقدم والمؤخر, تقديره: إني رافعك إلي ومتوفيك, يعني بعد ذلك. (إني متوفيك) أي: مميتك. وقال علي بن أبي طلحة عن ابن عباس. وقال محمد بن إسحاق, عمن لا يتهم, عن وهب بن منبه, قال: توفاه الله ثلاث ساعات من النهار حين رفعه الله إليه. قال ابن إسحاق: والنصارى يزعمون أن الله توفاه سبع ساعات ثم أحياه. وقال إسحاق بن بشر عن إدريس, عن وهب: أماته الله ثلاثة أيام, ثم رفعه. 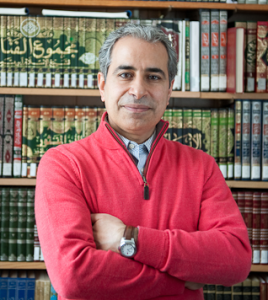 Though Arabic is my mother tongue, and although I have read the Koran through on several occasions, I do not pretend to be an expert in the interpretation of the Koran. Nevertheless, I have tried to show that not all Muslim scholars deny the death of Jesus. The Koran gives us little information on what really happened. The verses discussed above raise many questions. Thus, there is a great diversity about what Muslim scholars say about the death of Christ. Some deny it, explaining that it was a sleep or a coma. Others accept it, but differ over the duration of his death: three hours, seven hours, three days. For the one who is searching for truth, it is important to have an open mind and to go to other sources in addition to the Koran. This will tend to make a person’s comments serious on this vital subject. I have endeavoured to show the difficulty Muslim scholars have on the issue of the death of Christ. It’s significance cannot be lost in the interaction between Christians and Muslims. The Torah and the Old Testament makes clear that the promised Messiah would come specifically to die a death that was both a substitution for sinners and a sacrifice for sin. The Injil, the New Testament, describes that death and explains in fuller detail why the Messiah suffered and what His suffering and death accomplished. The Prophet David who wrote 1000 years before Jesus’ birth describes the scene of the promised Messiah’s death. The prophet Isaiah who lived over 700 years before the Messiah’s birth explained the reason for His death.